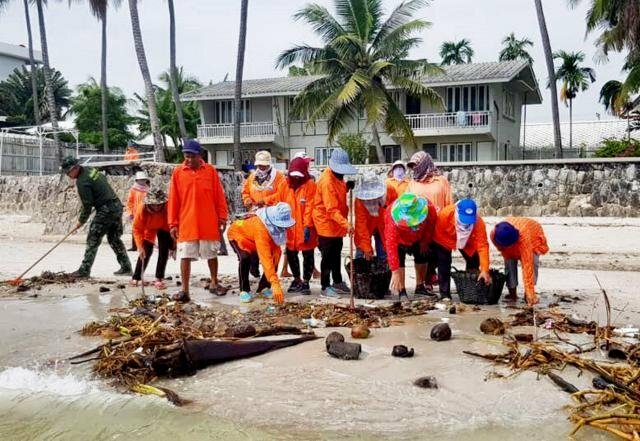 Workers will continue to clean the beaches around Hua Hin today after several tonnes of trash and debris washed ashore over the weekend. Officials said the trash is the result of monsoon winds that has blown have blown it onto the beach. Workers cleared around six tonnes of trash from a 10 kilometre stretch of beach on Sunday and Monday. Officials said that up to 100 tonnes of trash is expected to wash ashore throughout October.